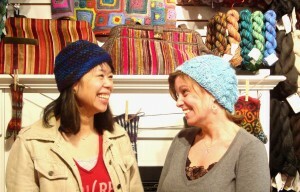 Julia and Kathleen are modelling two of Julia’s latest FO’s. The pale blue hat is ‘You Don’t Know Our Women’, in Araucania Azapa and the darker one is ‘Amanda Hat’ in Cascade 220 Paints. Julia’s a talented and prolific knitter whose creations are always extremely inspiring. 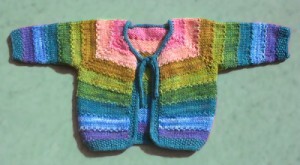 You should check out her Ravelry project gallery and her blog, Crispy Noodle Knits to see what she’s been knitting lately. Grab a skein and a set of 20mm needles and you’ll have a new FO in no time. The pattern’s free when you buy the yarn. We have the pattern for both babies and grownups. 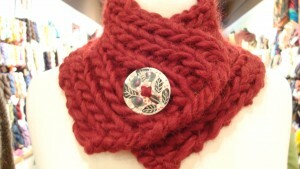 Or knit the Spice Headband with just one skein. Classy’s also a great yarn for the February Lady Sweater. So many options, so little time…. We also have the new Knit Kits, a wonderful new all-in-one gadget including a tape measure, stitch counter, thread cutter, scissors, crochet hook, stitch holders and tip protectors, all in one compact device. Great to have all your most frequently used tools in one place! 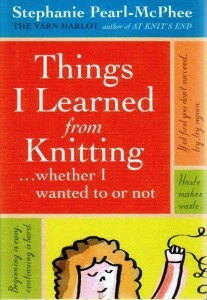 Another hilarious book by the Yarn Harlot. Chock-a-block full of fantastic lace patterns. 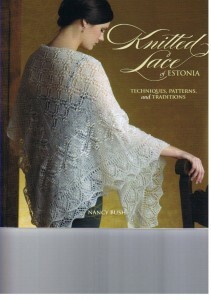 If you’re a lace knitter you’re going to want this book. Have a great holiday weekend – hope the Easter Bunny is good to you! This entry was posted on Thursday, April 9th, 2009 at 4:50 pm	and is filed under Uncategorized. You can follow any responses to this entry through the RSS 2.0 feed. Both comments and pings are currently closed.